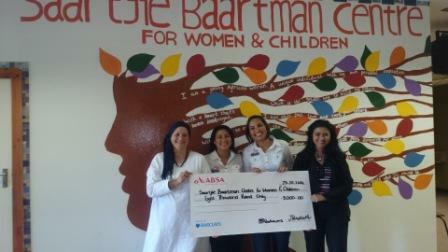 Thank you to Boa Divas for donating a sum of R8000 to the Saartjie Baartman Centre for Women and Children on Friday 31st October 2014. Boa Divas is a charity organization consisting of 9 women who work hard to uplift others. We appreciate your contribution in making the work that we do possible.